This build was very important to me for many reasons. The first being that this was a Christmas gift for my parents... who have never owned a PC. They are however quite tech savvy. My dad has been a Mac guy since our first LC3 we got in 1992 (don't hate, he’s OG). As a professional cinematographer, he needs a Mac at this point since that is standard in the film business. Between work and a lifetime of personal photos and video, he has accumulated about 4 or 5 external storage devices. They are old and they aren't redundant in any way. You can see where I'm going with this. We talked about getting him a Drobo or something like that... but let's face it, that would be (almost) just as expensive (once you buy all the drives) and the "build your own" option is way more fun. My mom is a music geek and has an extensive cd and digital collection. The idea is to make it so she can also start uploading to the NAS and over time convert all her hard copies. With an app she can play them anywhere she can connect to the web or local wifi. This cooler master stacker case was found in the trash by my friend (pictured above holding this monster) I fell in love with aspects of the design and with lots of drive space it would make the perfect NAS. Also the idea of restoring a retro case seemed cool. The main issue was dust. These old-school designs get great temps but leave your parts victim to this issue. Newer cases have sound and dust management in mind. The system I’m using is very low power and puts out little heat so I just covered all those ugly dusty vents. After striping down all the parts I did some drilling to have intake fans hidden in the bottom of the case (also pure mesh) The single 120mm exhaust at the back keeps positive pressure. Aside from the need to clean the aluminum vigorously and the lack of cable management the case was great to build in. This PC has to fit in with the decor of my parent's home... so no tempered glass and RGB. I decided to use leather as my material to cover the panels. I had a lot of ideas for this case that sounded crazy at the time but made sense in my head. I was not inspired by current PC design but rather by automotive interiors and high end furniture. I wanted something that would accentuate the highly stylized bare aluminum of the case and make it a modern art piece. I think of modding a PC like modding a car. Both form and function are at play and I want my mods to both be highly functional as well as stand out from the crowd visually. Yes, that is real leather. Red Italian hide. About $70 worth so not that bad all things considered. The process of shaping, cutting and gluing took most of my time in this build. I was super satisfied with this part. The feel of it as you run your hands across the sides it just so nice. You can see in the pictures and upcoming video how I did all that in detail. It also quiets down the case quite a bit by both softening vibrations as well as sealing off the once open mesh. You can see some of the crazy methods I used to keep the shape in the pictures. Super fun challenge. The wheels needed to be changed. I think these new ones are just so slick. It rolls like a dream and is higher up for better intake. I had to reinforce the underside with extra aluminum to compensate for the bigger mounting plate on these new wheels. Worth it. Thing is solid. Once it was all coming together I was looking for some cool car badges and the M series by BMW seemed to fit the look of the build. The M badge commands a lot of respect as far as performance, quality and luxury goes. The cpu was in my stock thus free… cool. GPU: IRRELEVANT this is a headless system. GPU was just for sepup and has been removed as it is no longer needed. CPU has no graphics ether so this is a true HEADLESS server. Mobo was the cheapest on sale with 8 sata ports. Great quality for the $ if you can get it on sale. 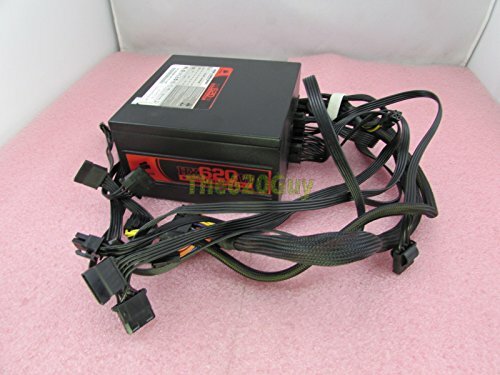 PSU was in the case and is far newer than the system it came with. Good quality so why not run it. Modularity helps too. 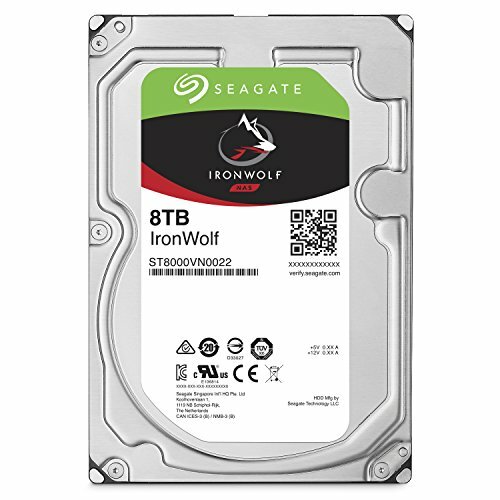 THE DRIVES As the parody drive we now have a seagate ironwolf (non pro) 8tb (not pictured) There are also 2x 4tb WD reds to start out. This allows for 16tb total or 8tb of redundant storage. 5 drives can be added up to 8tb each in this current state. Any questions on things I missed just ask or check out my videos where I go into more detail. I really like this build. A worthy feature and very creative modding. Well done with the theme and how you managed the colors and textures together. Thanks again to the community and admins here. It's only been 2 short years since I found a home on this site and started my journey as a builder. Just goes to show with a good foundation and support system you can learn anything! This is now my 5th feature on PCPP. Thanks for everything PCPP People! Super nice. Loving the brushed aluminum and leather. Way to take care of your parents and congrats on the featured spot! all I got out of this was "I got a case from the trash and put Italian leather with German badges"
Ya know, why is it always foreign stuff that is "luxury"? Theres got to be something in this country that carries that label. You mean Cadillac and Lincoln? My two favorite things. Cars and computers. Awesome build! I'm definitely going to tell him that! Fantastic job all around! The leather really makes the look. This is a wonderfully creative, thoughtful gift built with love. Thank you for sharing! Built with love indeed, thanks! This is the best custom case I've ever seen. That's quite the complement ty! Let me know if you want me to do a case mod for your next build. Pcpp people gett the hook up. How many fps under the hood? Intake is all thru the bottom now. Silent and cool. Very low wattage system. No Gpu to heat things up. No sound. No heat. nice job on the build! leather really makes a statement. Hope you have a good warranty, BMWs aren't really known for reliability. Favorite thing about this build is definitely the 3 disk drives. Srsly though. this is a really unique and neat build. Yes to 1500x! It receives no love but is a great quad core CPU. +1 for that alone and +an extra 20 or so if I could for the rest. If PCPP had a reddit gold system you would have mine for sure. Was my first ryzen cpu back when they launched. Keeping it in the family is pretty cool. Ah you're not going to keep in the coveted 192bit 3gb GTX760?? What prebuilt did you pull that out of? hehe. Damn, this build is givin' me some 2010 vibes! Nice job on the case modding! Well, now it's featured. Good job, that box got a nice little face lift. Quite extraordinary build! Well done! Really nice. Inspiring as I'm actually building my first PC from the ground up. Ty! Good luck with your build. Reach out on here if you need any help. This community is awesome. That is so cool! I love how you made your set up so personalized and gave it so much individuality! Keep up the amazing work! But does it come with turn signals?